In the wake of some of the longest sustained conflicts in U.S. history, many combat veterans and their families have a place to strengthen and heal from the impacts of post-traumatic stress syndrome. Robert Vera, author of the Amazon best seller "A Warrior’s Faith," relayed his passion for Boulder Crest Retreat, which last year helped 700 combat veterans and their families. Vera, a development manager for Boulder Crest, was the guest speaker at our club meeting on September 11. Vera, who has a background in military and veteran constituent services and in the private financial services sector, established the first of its kind non-profit online lifestyle transformation system. In 2012, this system was integrated into initiatives of the President’s Council on Fitness, Sports and Nutrition. About 50 Rotarians at the meeting learned how Vera’s work was inspired by the protagonist in his book, Ryan Job. The highly decorated Navy SEAL was blinded after being shot in the face by an enemy sniper in Iraq. His positive attitude and determination, Vera said, helped him survive the incident and recover from his wounds, only to take on more life challenges. Among those were climbing to the top of Mt. Rainier, elk hunting and graduating from college with honors. A hospital medical error ultimately ended his life in 2009 at the age of 28. 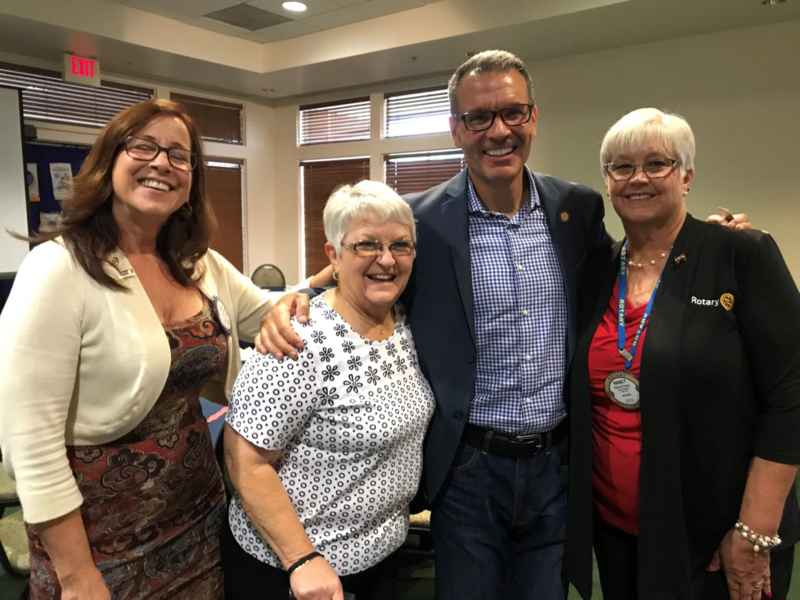 "His approach for behavioral change through unconditional positive regard was enlightening," said Rotarian Karina Rice-Roberts. "It was encouraging in that it addresses long-term client needs of veterans with suicidal tendencies or PTSD." That is a tall order as Boulder Crest founder Ken Falke estimates that there are 2.1 million combat vets and family member struggling with PTSD. on culture and dress in America. He and a friend also worked at a putt-putt course during the summer and he was night auditor for a hotel. Among various military duties, the mayor led a battery survey sound flash platoon, directing artillery.